The Clean Team has chosen the Princesses for you this week and our hostess Jen has chosen the Queen! The Queen of Clean: Amy T.
A huge thank you to each and every one of you for playing along with this week's challenge! I loved checking out each card! It's always so amazing to see how many different cards can be created from one sketch! 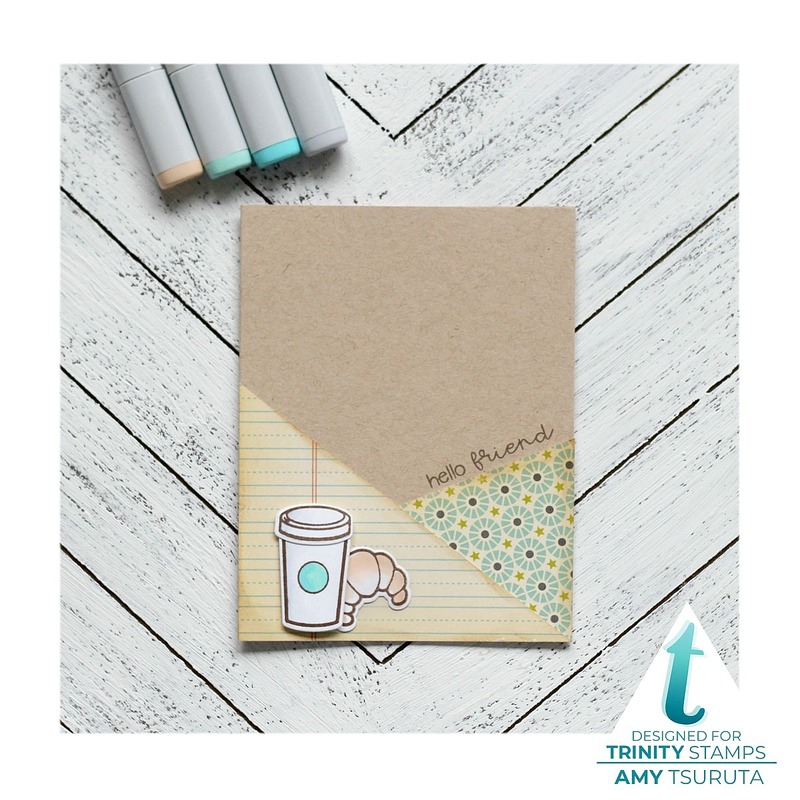 I absolutely loved Amy's neutral toned coffee card! I love the mix of the papers and the sweet coffee cup and croissant! I also love the mix of fonts in her sentiment! Congrats Amy! You are this week's Queen of Clean! Yaaaassss! Thanks so much for choosing my card, Amy, and congrats to all the other winners! oh my goodness! Thank you soooo much! Congrats to the others, such an awesome gallery of goodness! Congratulations to Amy T. and all the other winners! Thank you, Kim, for my first FMS Princess Tiara - this was a fun challenge! What awesome cards, congrats to all the winners! Freshly Made Sketches #343 - A Sketch by Jen T.